Harmattan, named after the trade winds that blow during the dry season in West Africa, is designed in a Warsh style to suit the needs of languages using the Arabic script in West Africa. 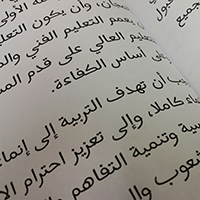 Harmattan is designed in a Warsh style to suit the needs of languages using the Arabic script in West Africa. 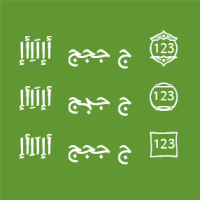 A type sample showing an inventory of some of the unusual of glyphs and features can be seen here: design type samples. Harmattan is currently available in Regular weight only. 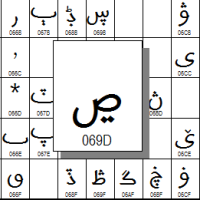 The Harmattan font does not contain complete coverage of all the characters defined in Unicode for Arabic script. Because the font style is specifically intended for West Africa, the character set for this font is aimed at West African languages. Thus, Asia-specific characters are not included. Read more about our character set support. See complete Harmattan - FAQ list.